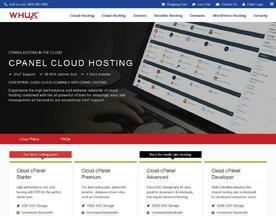 Do you work for UK cPanel Host? Fully Managed - shared hosting services by WHUK gives you the flexibility and assurance about the uptime of your website. Supports every popular CMS and comes with cPanel. Plans starting @ £2.29 only. Contact Us TODAY for great deals!